As someone who eats mostly meat and vegetables, certain ethnic cuisines are perfect for my diet. I love Asian food, and can always count on finding a few options at an Asian restaurant (minus the soy sauce!). 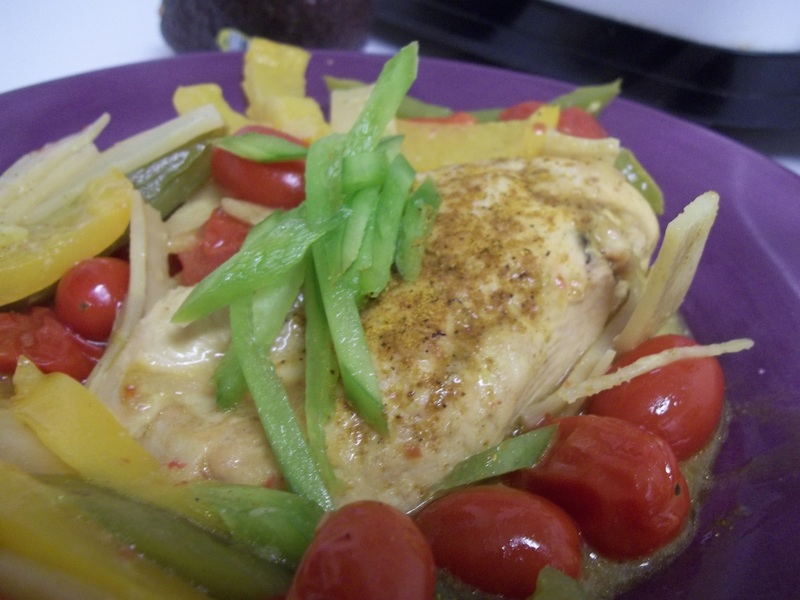 So, tonight I made my own Coconut Curry Chicken… and with a new kitchen tool I got! Although it needs to be used very carefully, a mandolin is a necessary kitchen tool for someone who eats a lot of veggies. 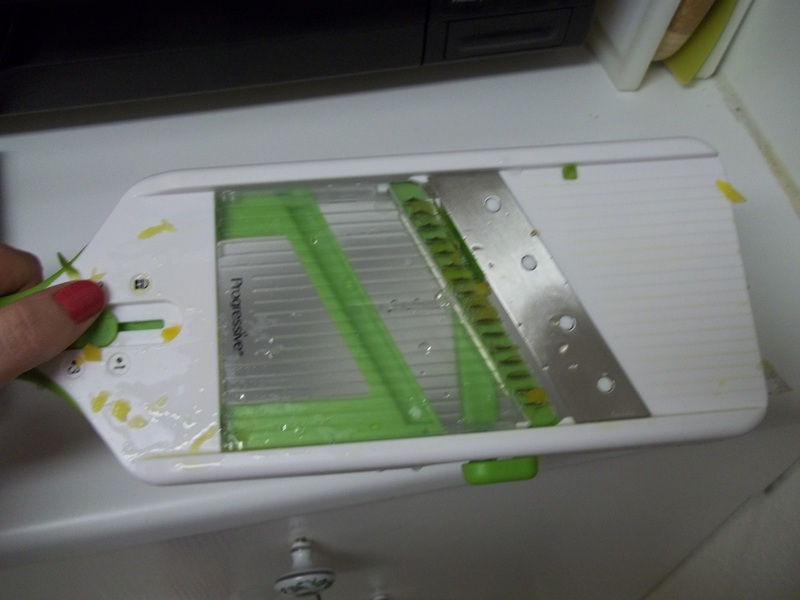 It can slice veggies into very slim slivers, and my new mandolin also cuts veggies into small matchstick slices. Oooooo! In a deep pan, saute 3 tsp. minced shallots with some olive oil for a few minutes. Add three chicken breasts (or tenders) and sear the chicken on both sides. 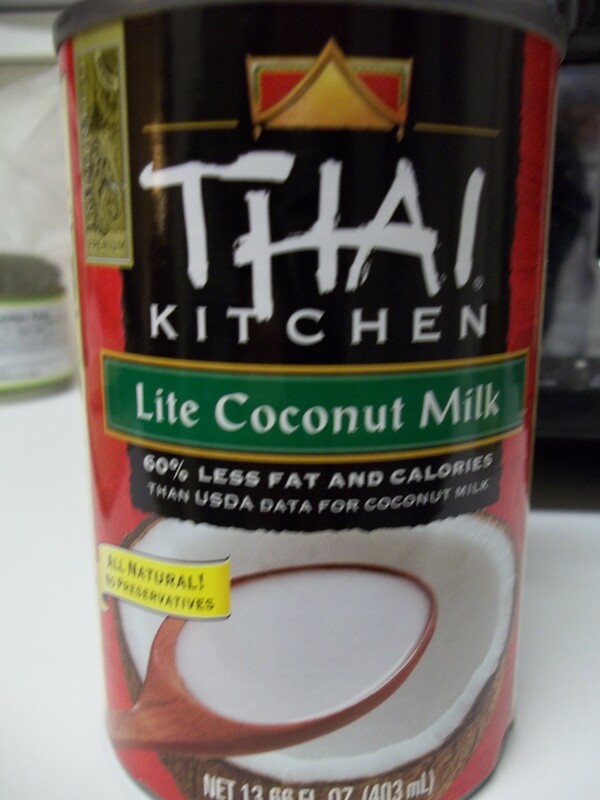 Add one can of lite coconut milk, a sprinkle of salt, several shakes of curry powder, a few shakes of ginger, and one tsp. of chili garlic sauce. The chili garlic sauce is very spicy (and I have a thick tongue for spice), so use according to your spice level. While the chicken is cooking a little, chop one green pepper and two yellow peppers lengthwise. Or whatever your favorite colored peppers are. After a few minute of the chicken simmering, add the chopped peppers, one box of cherry tomatoes, and one can of drained bamboo shoots. Cover and let simmer over medium heat until the chicken is cooked through. When serving, sprinkle more curry powder on top of chicken, for added flavor. For garnish, cut some green pepper into matchsticks using the mandolin! Sprinkle on top of chicken for extra crunch. You can also serve this dish over rice, which will sop up all the extra saucy flavors. Oh I bet this is super delicious! Hey there!! Hope you enjoy! How long have you been blogging?